Having a skele-ton of fun at ANU Bioanthropology! When examining skulls from the human evolutionary lineage, what is immediately striking is not so much the differences between them, but the resemblances linking millions of years together. We learned that ancestors of homo sapiens had remarkable likeness to that of modern humans, in a similar way that locking eyes with a chimpanzee or an orangutan at a zoo can elicit an eerie feeling of familiarity. But in taking away language, social groupings, and even technological advances right down to the bone, we rely only on the most basic structures of an individual’s body to tell a story of how our relatives lived millions of years ago. 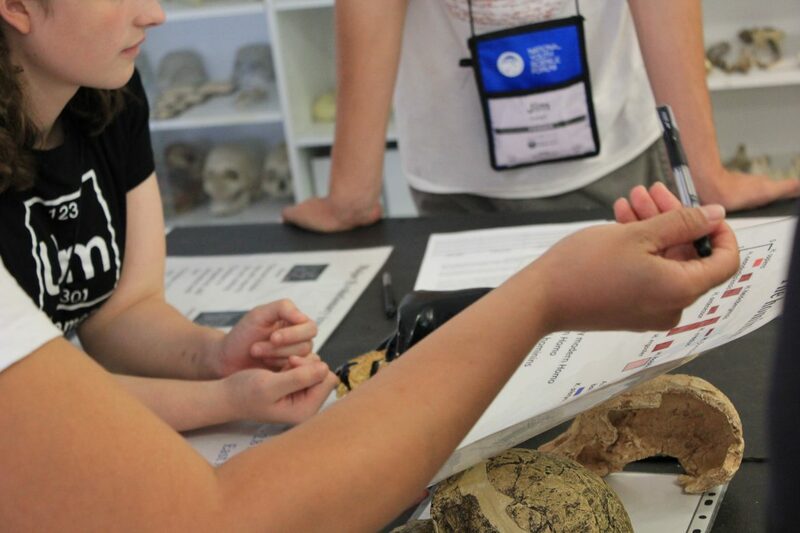 Elective visits are a unique opportunity for NYSF students to experience STEM fields outside of their primary interest group during the program. 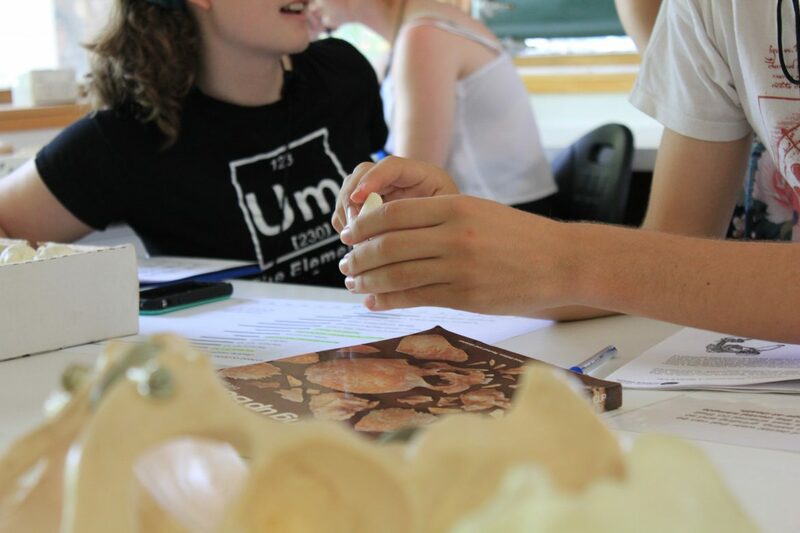 This week, a group of students passionate about a wide range of STEM fields visited the bioanthropology department at the Australian National University for a change in scenery. Without a computer in sight, the aim of this visit was clear - to use the detailed casts in order to really get a sense of the physical characteristics of each specimen. Measuring the cranial capacity of the skulls took an unexpected turn when students were tasked with pouring as much rice as possible into the hollow space of a skull, and then pour it out again from the skull into a measuring cylinder. 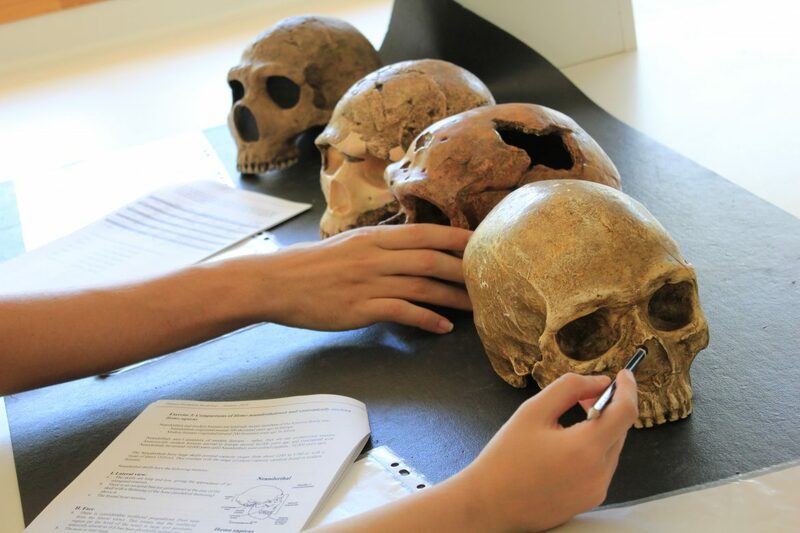 Students were more than surprised to learn that this is a technique often used to measure the volume of a skull by working bioanthropologists. This is because rice can conform to the shape of a skull without leaving much space in between grains to allow for an accurate indication of its volume. Determining the volume of a skull gives bioanthropologists crucial insight to determine the size of the brain that had been inside, and what kind of cognitive abilities they might have possessed. This can sometimes be deceiving, however, as Neanderthals did in fact have bigger brains than modern humans, but in backing someone in a game of chess, the choice is clear (to be fair, the Neanderthal would likely tip the board over and call that a win). 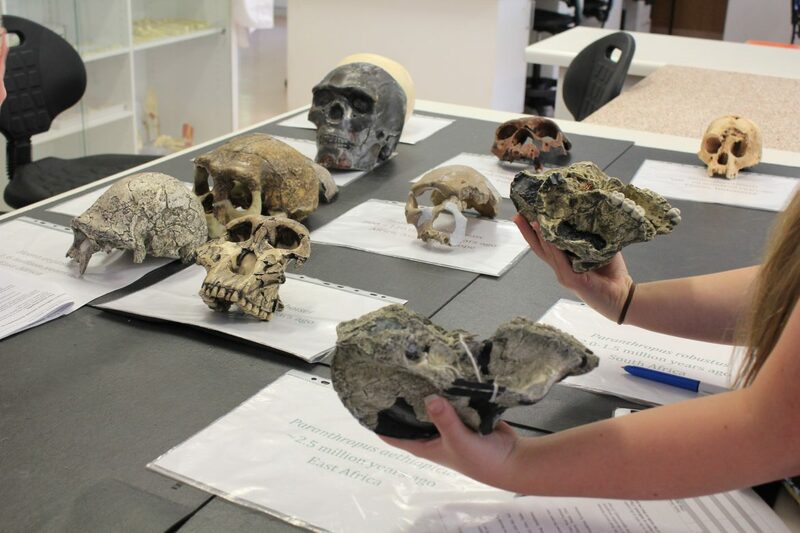 Students were tasked with discerning between Neanderthal and homo sapiens brains by looking for a number of differences. Some of these included the prominence of the brow bone (running on top of the ridge above the eye), and the degree of roundness in the back of the skull, working through and comparing skulls side-by-side in detail. It was clear that, though this was one of the more unconventional lab visits on the NYSF schedule, students nonetheless found it to be an interesting one. Written and photographed by Tess Devine-Hercus.